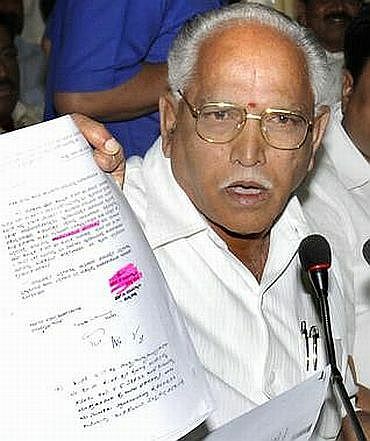 Rediff.com » News » Yeddy's assets: Rs 40.7 lakh cash, 3 houses and no cars! Yeddy's assets: Rs 40.7 lakh cash, 3 houses and no cars! Karnataka Chief Minister B S Yeddyurappa, who has been under attack from the opposition over involvement in alleged land scams worth Rs 1,000 crore and nepotism, declared his assets and liabilities in Bengaluru on Sunday. According to the declaration, he has cash to the tune of Rs 40,71,782, three houses and no cars. In his assets declaration, Yeddyurappa said that he owned two cars -- one Contessa and a Scorpio and 2.5 kilograms of gold. However, he has sold both the vehicles. He also goes on to list the number of houses and companies that belong to him and the land owned by him. In the declaration, he says that he has two houses at Shikaripura, which is his hometown and constituency. Apart from that he also owns a house at the RMV II stage in Bengaluru. According to the Karnataka CM, he owns 4.16 acres agricultural land in Channahalli, 5.02 acres in Tirumalapaura and 9.12 acres of agriculture land in Shiralikoppal. Yeddyurappa further states that he has 100 shares in a company known as Softech, 70 shares in a company named Ketan and 50 shares at Zeenat Infotech. In addition to this, he owns household commodities worth Rs 10 lakh and a life insurance policy worth Rs 1.7 lakh. 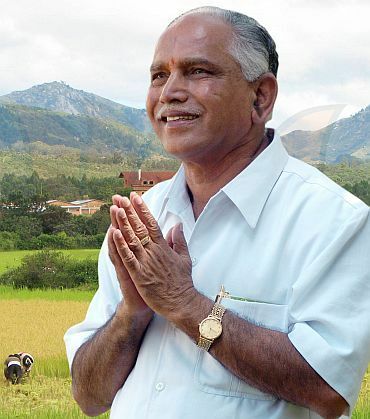 Yeddyurappa received criticism after the Lokayukta sought a probe against him on denotification of lands, saying there is a prima facie case in November. Apart from this there is an independent commission of inquiry probing several charges against the CM. Recently Karnataka Governor H R Bhardwaj had granted a sanction to prosecute Yeddyurappa over allegations of denotification of land acquired by the government, apart from other charges. The case is now being heard by special court in Bengaluru. Yeddyurappa hoped that once he declared these assets in public, he will be able to clear the various charges of corruption that he faces. 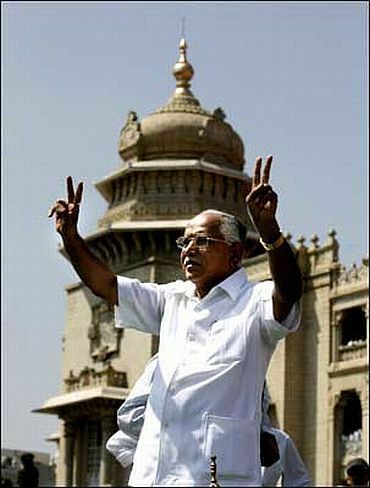 The opposition has, however, not taken too lightly the declaration of assets and liabilities of Yeddyurappa. 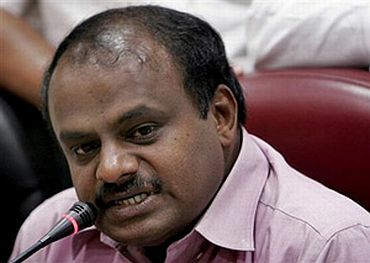 H D Kumaraswamy, former chief minister of Karnataka and Janata Dal-Secular leader said that there was nothing new declaring assists and failed to understand why such a big deal was being made out of it. "I will be more interested in knowing about the denotification of lands in favour of his sons and also how Yeddyurappa managed to procure all that he has just declared," he said. Why is Yeddy the target of dissidents so often?